The Lord said, "If your faith is as big as a mustard seed, then you can say to this mulberry tree, 'Dig yourself up and plant yourself in the ocean!' And the tree will obey you." At first glance, Jesus appears to be making an incredible promise. On a closer look, however, this is a reprimand. 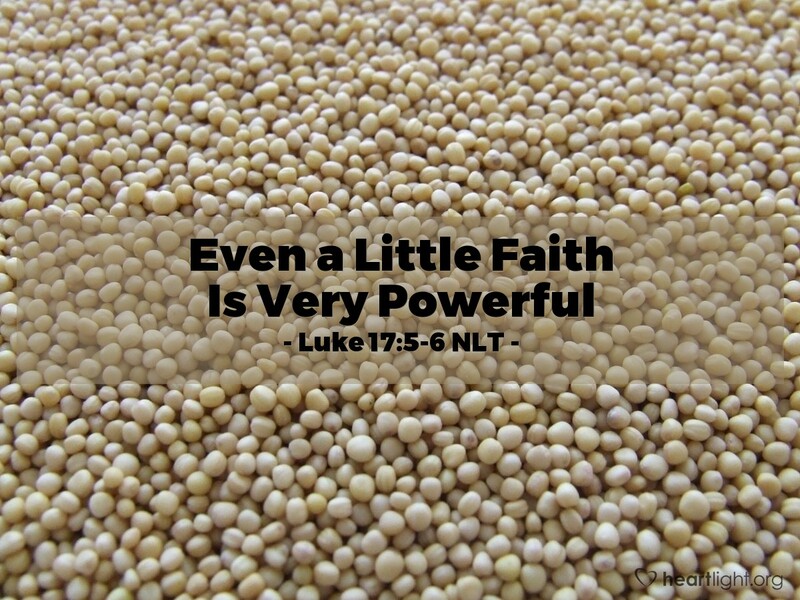 Even a little faith is powerful. They would have so much more impact on their world if they could muster even a little faith. Sadly, so much doesn't get done to bless others and to honor God because we have such little faith. Let's be people of faith! Lord God Almighty, challenge me, stir me, move me, motivate me to live by faith and not by sight. In Jesus' name. Amen.